This was a strict assertion of the codes of formal attire that have defined Kris Van Assche’s oeuvre at Dior. Every model either had a bow tie or a tie on. As the black curtain dramatically rose up to reveal a single line formation of an orchestra in pristine tuxedos and startlingly white sneakers, the collection ended up being centred around this juxtaposition of the traditional and the casual. Denim suits and dress shoes with colourful rubber tread are just some examples of the sartorial clashes that Van Assche sought out. “The orchestra is a metaphor for what I do at Dior – using instruments from the past to do something contemporary.” The orchestra’s thundering version of the title track from French artist Koudlam’s Landsc Apes EP was an effective device of mirroring Van Assche’s approach towards Monsieur Dior’s codes. The powerful strings led the way for the most part, but as the show crescendoed it then segued into the original track. Van Assche asserted that Dior will always be about tailoring. “After last season, I wanted it to be about something formal and sartorial but I didn’t want it to be about looking at the past. I wanted it to be radical.” So he called his collection techno-sartorial. 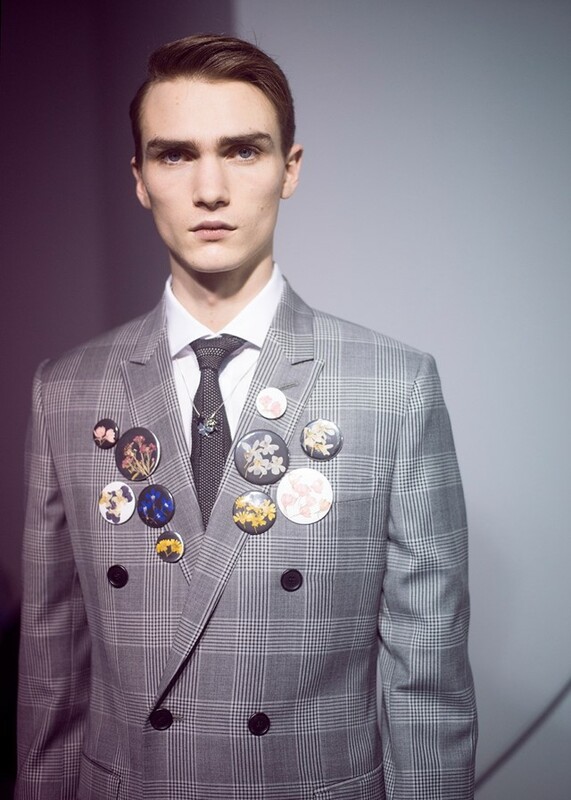 That manifested itself as knits made out of trainer mesh, a floral print abstracted into a pysch print, and the traditional buttonhole flowers encased in plastic and worn as badges as a counterfoil to Prince of Wales checked suits. It was sartorial suiting for the 21st century.